Wonderful News: Thorn Acquired by HarperTeen! I am thrilled to announce that I’ve signed a two-book deal with HarperTeen! The deal is for my novel Thorn as well as a companion novel provisionally title The Theft of Sunlight. 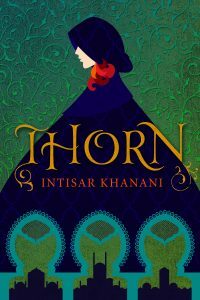 Thorn is my indie debut, a retelling of the Grimms’ tale “The Goose Girl.” It tells the story of Princess Alyrra who, while on her way to meet her betrothed, is betrayed by her companion and loses her title, her rank, and her identity. Seizing on her newfound freedom, Alyrra begins a life away from the court–hampered only by the knowledge that her replacement may very well betray the prince to his death. The second book in the deal is for a companion novel featuring Rae, the heroine from my short story The Bone Knife. Publishers Weekly ran an article about how the deal came together–it really was a relatively non-traditional sale, and it all still feels a bit surreal to me. Let’s Celebrate – fairy tale style! Congratulations! 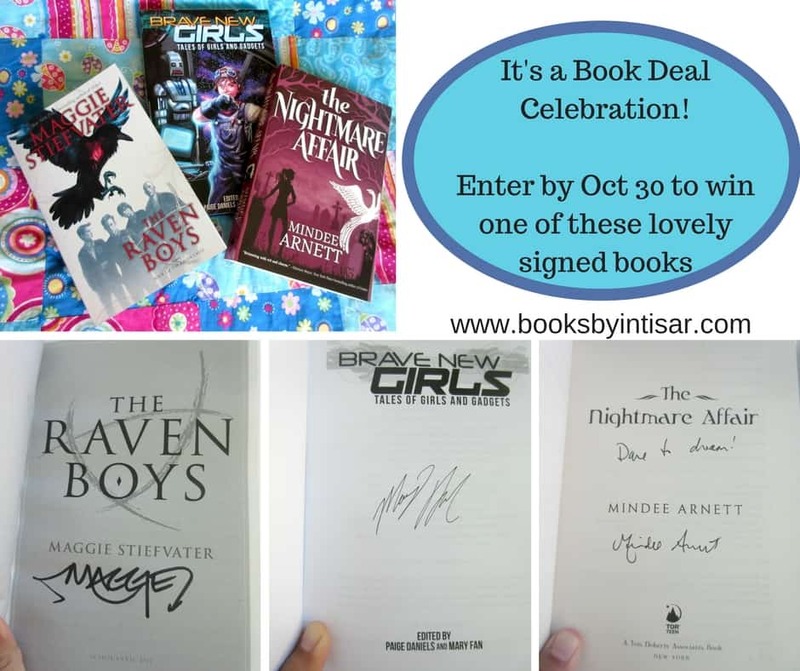 It’s so awesome that you got an agent and then a book deal just because they read your book! Congrats. I’m so happy for you. This couldn’t happen to a greater person. I’m so excited for you! I loved Thorn when I read it years ago. There’s a wonderful spark of magic to the story that I *knew* others would love. I can’t wait to see more great things from you, Intisar! Thank you so much! And I am sorry about the even longer timeframe for Rae’s story… but at least there’s a firm date now! 🙂 And, in the meantime, I hope to still be releasing the remaining Sunbolt books to tide you over. Congratulations on the book deal I love your writing style and Thorn was wonderful to read! Can’t wait to read more. This is awesome. You are such a talented writer that I’m not surprised they read your book and then offered a deal. Thank you so much! 😊 I am thrilled to be able to bring my stories to a wider audience. YAY!!! Congratulations!!! 🙂 I enjoyed Thorn a lot and bought a printed copy in addition to my digital one. Thanks so much, La La! 💕 And you’re always welcome. I’ve literally been saving up these books for about a year, waiting for the right moment to share them! OMG. So happy for you and proud of you. Congratulations! Thanks so much, Mr. D! 🙂 I hope all is well with you. Amazing news. I love this book so much. I’ve read it several times. Its one of the few books I started reading again immediately after finishing it. I am so excited it will be released again and can’t can’t wait for the future planned book. Hi, Intisar! I recently read The Bone Knife and enjoyed it so much that I looked you up on Goodreads – I really connected with Rae, so I was excited to see that there is more of her to come! I didn’t realize it, but I had already bought Thorn on Kindle when it was still available to purchase. I was about to start Thorn, but then wondered why it was no longer available on Kindle, then checked your site and voila, now I know! 🙂 Congratulations! I am so thrilled that you enjoyed The Bone Knife so much. Rae is by far my favorite characters to write, and I’m really excited to give her her story soon. How cool that you already have Thorn! I am in the midst of revising it for HarperTeen. Much of the story will remain the same, but some of the plot has been re-ordered to improve pacing and the whole thing has been sharpened a bit more. It will be interesting to see what folks think of it who have read the indie version as well! 🙂 Thank you so much for the congrats, and for stopping by!